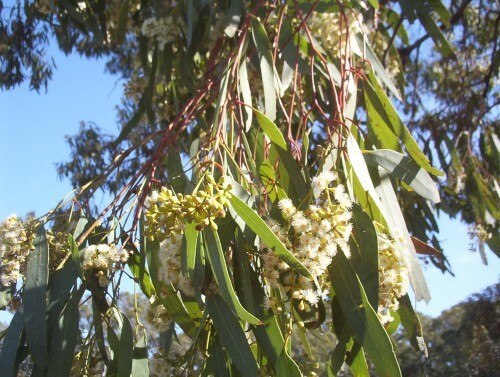 This is an attractive small to medium tree, 10-20 metres high by 8-15 metres wide, with large clusters of cream flowers loved by bees and Honeyeaters. Black Box are known as good honey producing trees. These trees are seen on the banks or rivers and lakes in Queensland, New South Wales, Victoria and South Australia, usually in low lying areas where water once lay. This stimulates the seed germination and is why stands of these trees are often seen in the middle of nowhere. If lakes or rivers have flooded, these seed capsules are left washed at the highest point at that time which may never be reached again. The soils in these areas are clays to heavy loams, which of course makes them ideal for such soils in home gardens, where the soils are poorly drained or alkaline. These trees are also resistant to heavy frost. Flowering is between August and January. I can’t believe that the proposed name change for this tree is ‘Symphymomyrtus’ ie. the plant is possibly called Symphymomyrtus largiflorens! I haven’t kept up with all the Eucalyptus name changes, except for Corymbia ficifolia (Eucalyptus ficifolia, Western Australian Flowering Gum). 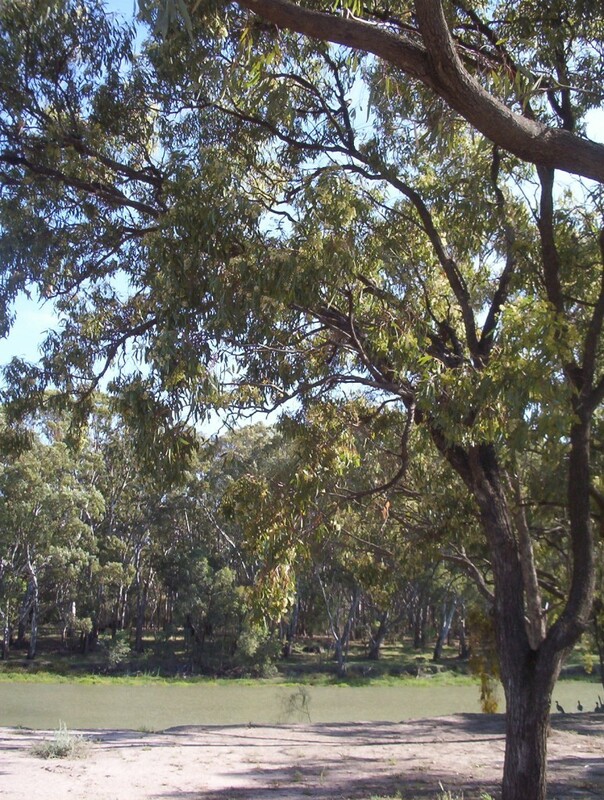 This photo was taken on the banks of the Murrumbidgee at Hay, in NSW.